From May 6, 2015, EA Sports FIFA 15 Ultimate Team (FUT) announced the best players of the season 2014/2015. Six weeks appear the best players as blue card in packs. These players cost a lot of coins (money in FIFA FUT) and are very popular with gamers. A total of 11 teams with each release between 18 and 23 cards. 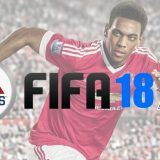 The teams of the season can, in all likelihood, be placed in the following categories: EASFC, Gold, Silver, Bronze, Ligue 1, Liga BBVA, Premier League, Serie A, Football League, Rest of the World (ROTW) and Bundesliga . When will Team Of The Season exactly? What does this mean for the market (crash)? You can earn lots of coins in this period? FIFA Ultimate Team is called FUT or UT and is a part of the popular football game FIFA. The game is every year around September published by EA Sports and developed by the Canadian division of the same company. The player must build in FUT team with the help of player cards. Are the names on the cards or cards of real football players like Ronaldo, Messi, Robben, and also lesser known footballers. With this team you play games against the computer or against other live players of the game. If you’ve played a game, you get a reward in the form of coins or coins. This is the currency used in the online part of UT. With this money you can buy new and better players, but also new coaches, football, employees and purchase stages. 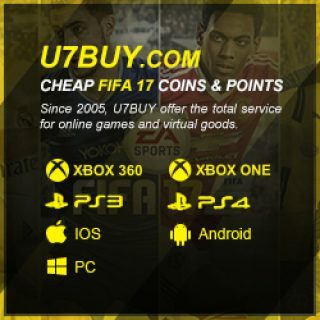 These coins can be purchased through websites such Goldah and Fifabuycoins.nl for the Xbox, PlayStation, iOS operating systems such as iPhone and Windows (PC, laptop). 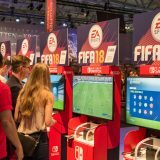 You can also earn money by FIFA this active and smart to act in the transfer market or auction. What is TOTS and when will TOTS in 2015? Community TOTS gold, silver and bronze, players who have performed consistently but never had an IF card. Chosen by the FIFA community. MLS All-Stars, Major League Soccer, the US league and Canada. These have a different color card and fall officially seen not among TOTS. These cards come in late July 2015. How many teams will come out and where a team consists of? A total of 11 teams are expected in TOTS in 2015. These cards can not simultaneously be found in packs, but per team for a certain period (usually between 24 hours and one week) available. The common configuration (1) -4-3-3 used for the teams. The bronze, silver and gold community EASFC and ROTW (Rest Of The World) teams have 23 players. So there are a team in the basic one goalkeeper, four defenders, three midfielders and three attackers. Each team has 11 players in the base, 7 substitutes and five reserves. The other teams have no substitutes. From Wednesday, May 6th, 2015 there will be a weekly Team Of The Season off. The players from a particular team only for a short time available (special) packs. In some cases, you can buy a special 100k package, these costs 100,000 coins and contain many rare gold players. Once there is more information about which teams on a given day, or is published in a given week, this article will be updated. May 6, 2015: The first team of the season (TOTS) will be published and made available in packs, which you can buy in the shop. It’s about the Gold, Silver and Bronze community teams. When more than a month improved cards come on the market, gamers will buy millions of packs. They do this in the hope of finding a TOTS card. All other players who are in a pack quickly thrown on the auction (action). Many good and valuable cards come for few coins go to the market. This will crash the in-game economy. You can easily and cheaply get the best players for your club. This is also a period where you can earn a lot of money in the game by creative act in the transfer market.